Welcome to the Neopoint Based Customisation Guide! My name is Rachel, and I'll be at your service today. This guide is meant to inspire girls and guys all around Neopia to customise with Neopoint wearables. Please make sure to read the guidelines thoroughly before using this page. The guide is currently not being updated on a regular basis. I hope that in a few months I'll have enough leisure time to maintain it as I would like. In the meantime, I hope its content will remain enjoyable. I still log in on a daily basis, so don't hesitate to neomail me with suggestions and comments. If you happen to find an error of any kind in the guide, please let me know. The best way for me continue and improve this guide is to recieve feedback. You're welcome to neomail me (via my userlookup) with your questions, suggestions and comments. However, before you do so, I ask you to read the FAQ and Guidelines thoroughly to make sure your question hasn't been answered yet. Please understand that it might take a while for me to write back. Thanks! Drag and drop the image into your address bar to view it in full size. Hover over an image to see the list of wearables used. This guide speaks mainly to those who don't have access to Neocash for various reasons, can't afford to purchase it often, or are shopping on a low budget. When I returned from my extended hiatus about two years ago, the NC mall wasn't available in my country. At first I was extremely discouraged and frustrated by it, since at the time there were only a few decent Neopoint wearables, and most were expensive. 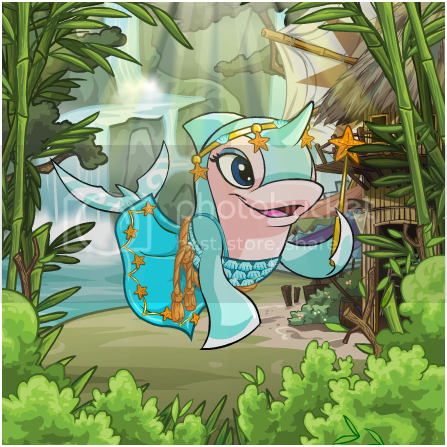 I felt as if my pets were doomed to always look worse than others. I spent a great deal of time trying different outfits, playing with wearables and restocking to make the NPs I needed to complete a theme. Through my experience, I've learned that not having access to NC does not mean your pets are sentenced to look bad. You can make beautiful outfits that are based on Neopoint wearables, and that is exactly what this guide is here to show you. This page is meant to inspire you. If it helped you dress up your pet, I would greatly appreciate a link back to this guide. It isn't against the rules to use the exact outfits displayed here without giving credit, since there are no copyrights on customisation. As the name of this guide indicates, all outfits are based on Neopoint wearables. I specifically used the word based and not only, since some outfits may include up to two NC items. I try my best to use as little NC items as possible. I'll make sure to provide you with a suitable NP alternative when possible. All outfits in the "Multi-Species" section are made to suit all species. The pet they're displayed on is what I felt would portray the customisation in the best way. If I use any single-species items, I will mention it and try to provide a suitable alternative. NC items included in the "Multi-Species" and "Single-Species" sections are all buyable in the NC mall with no retiring date. The "Seasonal" section includes NC items that are currently being sold in the seasonal NC mall shop/s. Once the items used in these outfits retire, they will be changed to suit a different category. Keep in mind that this guide is not about customising on a Neopoint budget. I'm aware of the fact that a portion of these outfits is pricey, some more than others. I make an honest effort to use affordable items, but it's not always possible. If an item is exceptionally expensive, I'll do my best to find a decent, cheaper alternative for it. If you're here, then I assume you care about the way your pets look. Surely you'll agree that they are worth spending your Neopoints on. Why do you use expensive items? I can't afford it. Quoting guideline #5: Keep in mind that this guide is not about customising on a Neopoint budget...If you're here, then I assume you care about the way your pets look. Surely you'll agree that they are worth spending your Neopoints on. When possible, cheaper alternatives to expensive items are suggested. Why do some of the outfits include Neocash wearables? This customisation guide is Neopoint based, not Neopoint only. Guideline #2: ...I specifically used the word "based" and not "only", since some outfits might include up to two NC items. Why do you use only buyable Neocash wearables? When making outfits I keep in mind those who can't purchase NC often, or are shopping on a low budget. Trading for retired items can be costly, and could quickly consume all your Neocash. In both cases mentioned above, it may be more practical to purchase a variety of buyables than to trade for two or three retired items. Most were not made by me. I've had them for a long time, and nearly all creators aren't known or aren't around anymore. The majority is from: BrushKing, Brusheezy, DA and search engine results. All were made by me, for this page only. The images used for the header and footer are from Background Bonanza. The Polaroid frame used in several sections was made by kevinandersson on DeviantART. The NBC Guide looks its best in Chrome. These lovely Potted Tulips add a splash of bright colors to your cheerful summer outfits. In a garden or on the porch, they make a great addition for a simple scene. Buttons link to their creators. are trademarks of Neopets, Inc., © 1999-2011.